Lehavi’s Trademark HeartMark Heart Hand gesture is Raising Funds for the Kidney Foundation of Arizona! Scottsdale, Arizona. Coming this February 24th, celebrity couple Tali Lehavi and Glenn Hamer will be competing in dance with other Arizona superstars at the The JW Marriott Camelback Inn Resort & Spa. 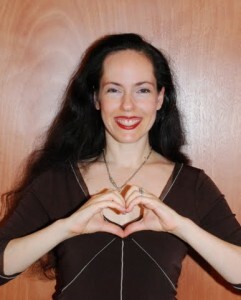 Lehavi is best known for her invention of the heart hand gesture which she patented and trademarked. Lehavi envisioned its mega trend future when she invented multiple uses for the HeartMark and built an entire company based on the concept of items joining to make hearts between them. In addition to cartoon characters, stories, jewelry, and room decor, between 2001-2011, Lehavi choreographed many dance routines that feature the HeartMark. However, the upcoming kidney fundraiser is her first use of the HeartMark in a ballroom dance competition. Lehavi’s husband and best friend of 19 years, Glenn Hamer, is the CEO and President of the Arizona Chamber of Commerce and Industry. While Glenn Hamer has no dancing background, he is willing to work on his groovy moves on behalf of the National Kidney Foundation of Arizona. With a lot of heart, and hopefully many votes of support, together this Celebrity Couple hopes to help the Kidney Foundation. Your donation of $20 is a vote for Glenn and Tali. You may also purchase a ticket to attend the elegant evening, with its Motown Theme, for $500. A sponsorship of $5,000 will cover an entire table. The National Kidney Foundation of Arizona is a 501c3 organization, which means that your contribution is tax deductible. One in nine Adult Americans have Chronic Kidney Disease (CKD) and ninety percent of those that have the disease do not know it. Approximately 600,000 Arizonans, our very own family, friends, and neighbors have CKD. Additionally, of the 1,925 Arizonans waiting for an organ transplant, 1,350 – over 70% – are waiting for a kidney. Tali Lehavi and Glenn Hamer are grateful for your support. Your gift will help NKF AZ provide critical, life-saving services. Press this link to view Lehavi-Hamer’s entertaining promotional video, which features Lehavi’s trademark heart hand HeartMark!